When I think back to games Ive played in recent years, there have been some fantastic ones, some bad ones, and some utterly baffling ones. This is one of the latter. Its also one of my favorites! So whats it about? Bad times have fallen on the land of Jilemnice, the sun hid his face. Persistent Autumn rain overflows mountain streams and changes the paths into muddy fords. Hundred years old dirt is being washed from the city dwellings, that brings only sickness. Wet breath of failure, cold and groaning, covers the sick forest around with a thick fog. Many people fall into terrible gloom. 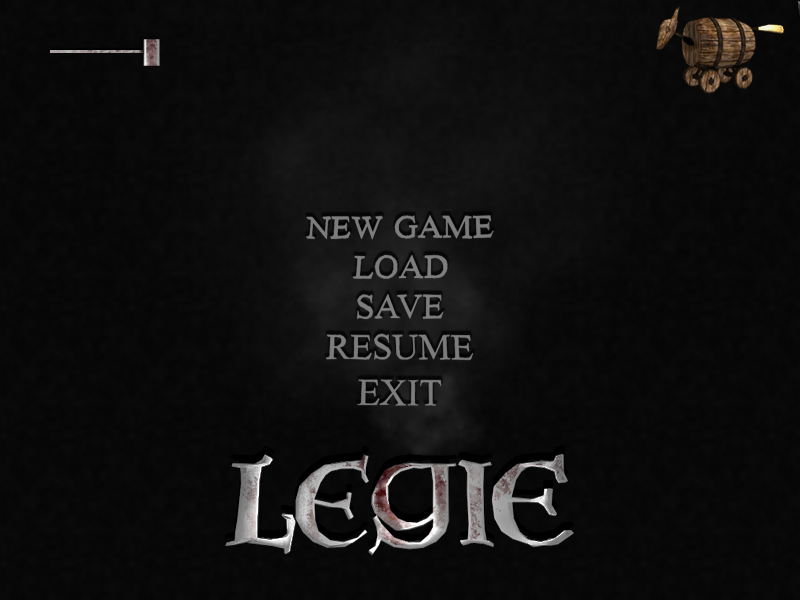 Legie is the unique combination of a 3D adventure and "classic" dungeon crawler. It features a dark story about an innkeeper, beer, and the devil that takes place in the medieval Czech town of Jilemnice. Essentially, it is a game where you are a man who serves beer to people, but who then decides to fight monsters for a bit while you watch everyone go insane and die around you, usually of the plague. But don't worry, there's more to it than that, or I wouldn't be sharing this game with you. What the developer does not mention is how soul-crushingly depressing it is, or how incomprehensible the writing gets. He also doesnt mention that dungeon crawling makes up perhaps a half an hour of the game. The rest of it is as youll see, spent talking to Czech manic-depressives or doing inventory puzzles. But, when I say that this is one of my favorite adventure games, thats exactly the reason why.  though the English version, the one I bought from him years ago, is nowhere to be seen. Thankfully, I kept it backed up, and now Im going to share the adventure with you all in LP form. The game is not a particularly long game, but there is lots  pages and pages  of dialog, so this may still take a while. Ill try and update at least once a week, perhaps more. I hope youll join me as we meet the worlds saddest bagpipe player, an evil witch, a horse, and many more exciting characters.